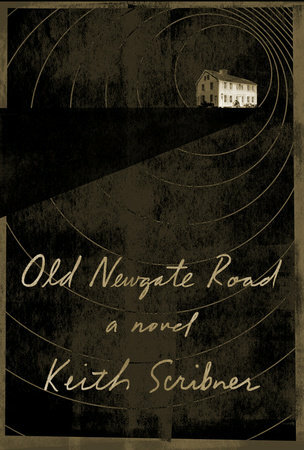 Moving, insightful, and suspenseful, Old Newgate Road is a masterful portrait of a haunted family and successive generations of men struggling against all odds and often violent impulses to truly know one another and their loved ones. Sign me up to receive news about Keith Scribner. The synopsis was more interesting than the actual book for me, unfortunately. I definitely wanted to like it more than I did but it unfortunately fell a bit flat for me. 3 stars. Nevet got a chance to read this title due to 2 prior arc reads. I wish I spent less time on them and gave this one a chance. 3.5 stars Thank you to Penguin's First to Read and Knopf Publishing Group for allowing me to read and review this ARC. Published Jan 8, 2019 This is one of the better novels I have read that relates to men. A story of three generations, son, father and grandfather, all different. But all still trying to move through the guilt of the past. Although I thought that this book started off a bit slow, it took no time to become involved in the lives of these three men. Phil, the grandfather, released from prison, squatting at the old homestead and trying to fight off Alzheimers. Cole, the main character, home to help his father and try to rebuild the old colonial house. And Daniel, sent to this tobacco producing farmland for the summer, to keep him out of trouble. Each one as different as night and day, yet bound together by stories from the past. 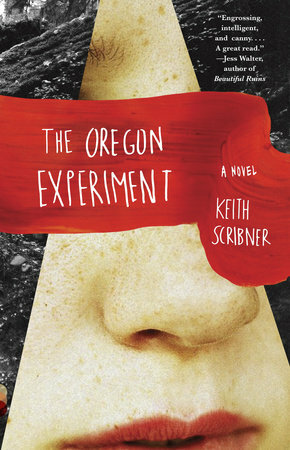 This is my first book by Keith Scribner. It was a good introduction to an author that I intend to read again. His story was easy to read, kept me involved, and showed the comparisons and contrasts between not only generations from the same family, but also with other families of men from that same time frame and geographical area, detailing how our past can predict our future, but also direct our dreams. Wanted very much to read, but due to illness was not able to complete before expiration. Thank you FTR and the publisher for an ARC in exchange for an hosnest review. This book is fast paced, a thriller, and yet with family and love woven in the story. How do you forgive the unforgivable? Cole Callahan has witnessed violence while at home as a child. When he returns to his hometown years later, he sees his father inhabiting their abandoned old house, in a state of dementia. How does Cole move forward, caring for his father while holding on to his past, is at the center of this book. His present, his marriage and his child, is also marred by his past experiences. His present and past intertwine to create good story. While better writing could have uplifted the book, the story itself has good angles and plot turns to keep it interesting. 3.5 stars. This book drew my interest due to the setting. Growing up in a Connecticut, I am familiar with the tobacco fields and even spent one summer working on a tobacco farm. The author was accurate in the portrayal and really brought them back to life for me. The plot line was filled with emotionally charged scenes that we’re compelling. I would recommend this book to others. Thanks for the opportunity to read it in advance. Not the best book I've read but not the worst either. Story moved along just fine and at a good pace. I received this book from First to Read for an honest review. This book is about Cole Callahan and his family in Connecticut and also in Portland, Oregon. Cole grows up in Connecticut, East Granby area, working tobacco (I did not know they ever grew tobacco in Connecticut so this was interesting to me) and in the midst of domestic violence he witnesses between his parents. Years later, Cole comes back to his hometown to buy some lumber for a renovation and discovers his father, suffering from dementia and living in the family home. Cole's son gets in trouble in Portland and so he brings his son to Connecticut for the summer to get him away from his troubles there. What Cole discovers while staying with his father and trying to get help for him because he needs constant care makes for a very good read. The story of the Callahan was riveting to me. I felt like I was right there throughout the whole book. The characters were really well-developed and the editing was good. I really enjoyed this book and had a hard time putting it down. Will have to look and see if this author has any more books because I really enjoyed this one. Cole Callahan grew up in Connecticut, working summers in the tobacco fields and spending every spare minute with his girlfriend, Liz. It sounds like your typical and idyllic high school existence, except for one difference; his parents fight constantly and in one final fight his father kills Cole’s mother. Fast forward to current day. Cole is living on the West Coast and separated from his wife. An architect and builder, he’s returned to Connecticut and his hometown to pick up some lumber for a renovation. In doing so, he also returns to his past, meeting up with his former girlfriend, her brother, the town bully, and his father, showing signs of dementia, who’s been released from prison and is living in their former home. Thrown into the mix is Daniel, Cole’s son, who’s been suspended from school and joins his father, who hopes to reach him in some way. Could there be a bigger recipe for disaster? While there are disasters in Old Newgate Road, there are successes and for me the best is when Cole reflects on forgiveness and determines that “...forgiveness doesn’t happen in an instant – it’s not a simple decision, but an accumulation of generous acts, of kindness and taking care. He’s stayed on because this summer is what forgiveness looks like.” It takes a while for Cole to reach this epiphany, but he does and it’s worth the wait. Old Newgate Road is a good book and I’d recommend it. I found this to be a transformative and compelling read. I felt that I could almost smell the tobacco fields at time. The relationship between Cole and his Dad was bittersweet as he came to terms with his father's dementia. Cole and Daniel's relationship was able to grow throughout the book and it was good to see how they really were not that different. I would really enjoy reading more from this author. Thanks for the ARC, First to Read. I found this well written and a fascinating emotional journey. Sometimes I had to put it down, to give myself a break from the intense emotions. The trauma and conflict were so well portrayed that I couldn't help share the characters' feelings. That being said, the ending was a little bit of a let down. It seemed to jump to the final resolution quickly. With such a great explanation of the amount of work it took to get past the initial trauma, the trip to the final resolution was presented as a fait accompli, with no work required. That aside, it was overall an excellent novel. What can I say about this particularly novel but that it is a serviceable piece of fiction. Nothing that really lodges firmly in your brain for later mulling, OLD NEWGATE ROAD is not unlike a well-constructed building that is short on architectural embellishments. Cole Callahan is a typical middle-aged protagonist looking back on a traumatic past as he tries to come to grips with it all. He revisits the old homestead in search of barn wood for his contracting business, and thus we begin a trip down memory lane that gets a bit muddled with all the tense changes that aren't entirely consistent. I didn't regret finishing the book, but there were passages that I skimmed to speed things up. In essence, OLD NEWGATE ROAD is fine to pick up but if you've other, more enthralling, books on hand, shift this one to the bottom of the TBR pile.